Order within the next... 13 hours, 24 minutes, 50 seconds ...for dispatch today! 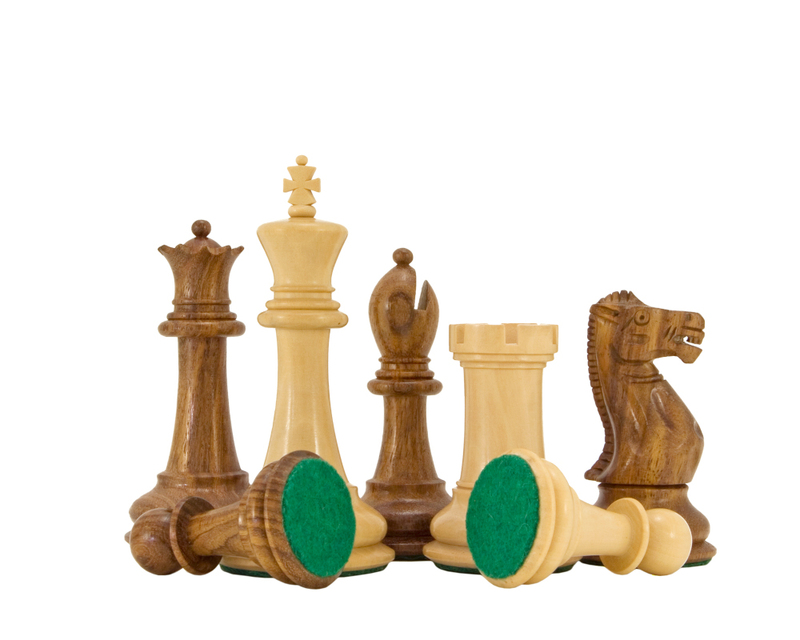 Hand turned and naturally polished to bring out the magnificent deep grain of sheesham wood, the Victoria Series Sheesham and Boxwood Chessmen represent great value for money. The detailing is superb and each piece is nicely weighted with a green flocked base. They are a perfect match for any of our 20 inch sheesham playing boards. 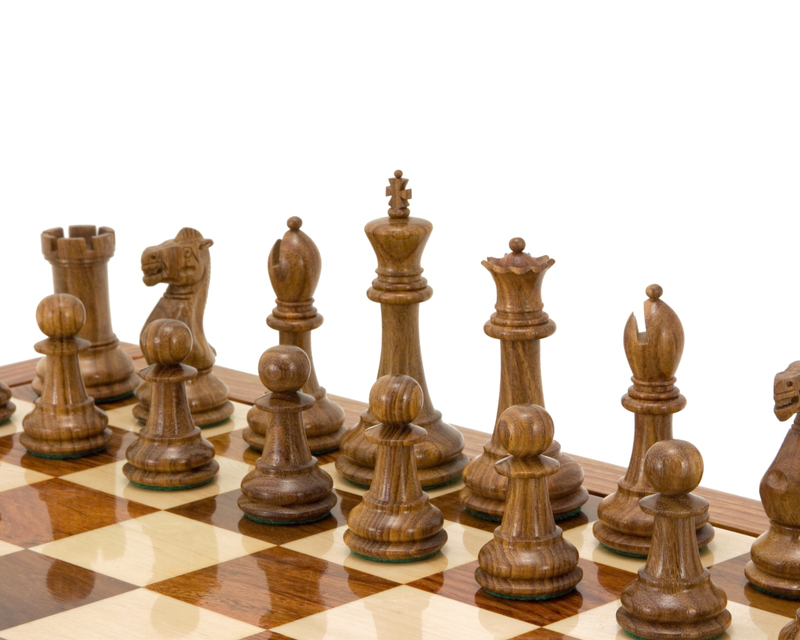 "Paula was very helpful and accommodating throughout and we are all impressed with these perfectly proportioned chess men. It's hard to top the previous good reviews that describe very well the quality and experience of receiving and using these pieces. This set was intended for my granddaughter and she is very impressed and grateful "touched" by the gift." 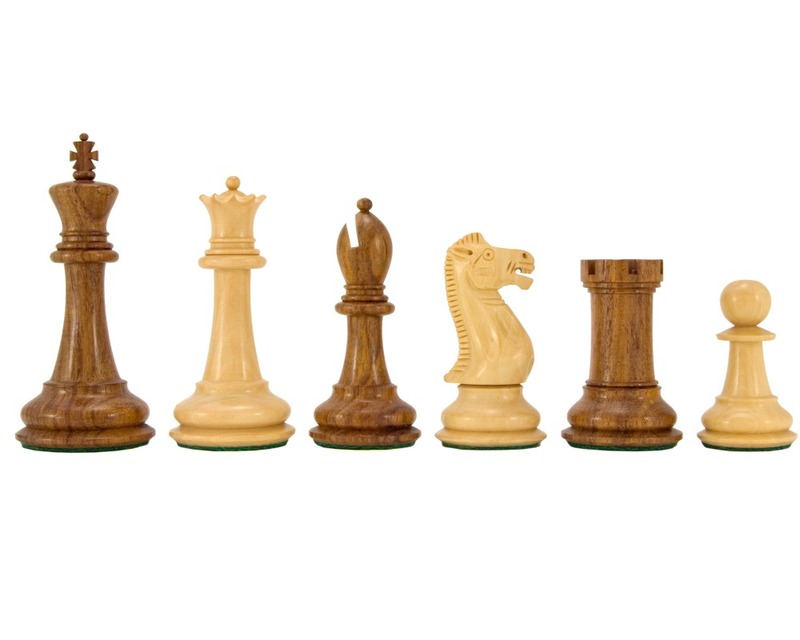 "I\'d been looking for a new chess set for some time, found your site and took the plunge and ordered one. So glad I did! 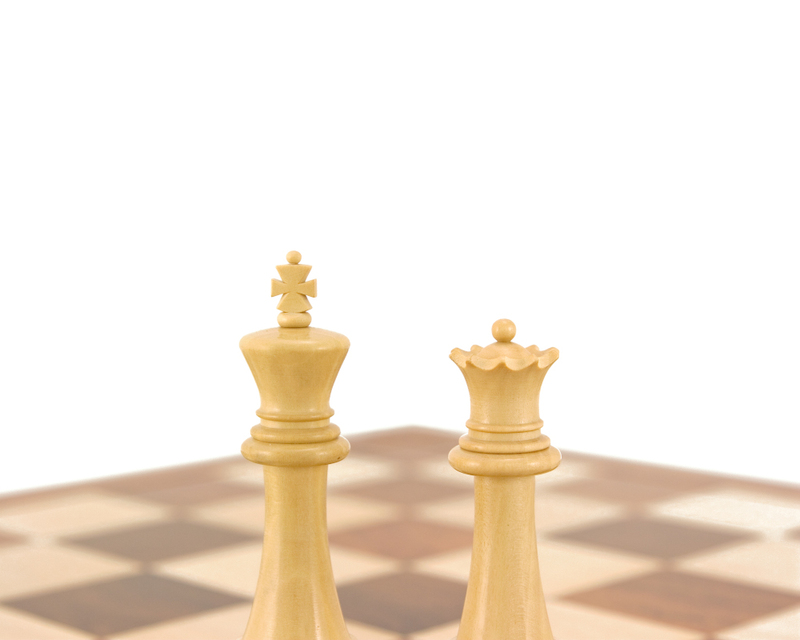 I ordered the chess set on Tuesday afternoon and it was delivered the next morning. The box was well packaged and took some time to open. 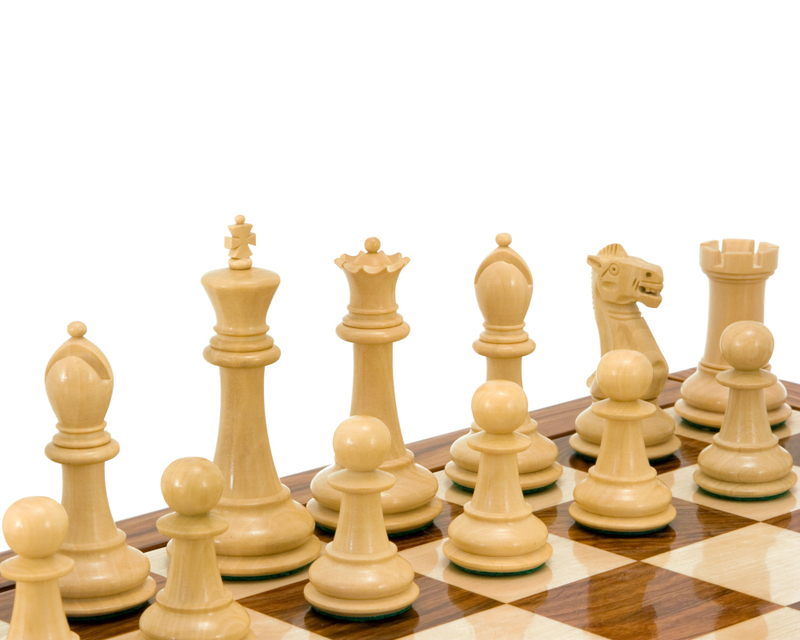 As each chess pieces was unwrapped the full beauty of the set emerged. 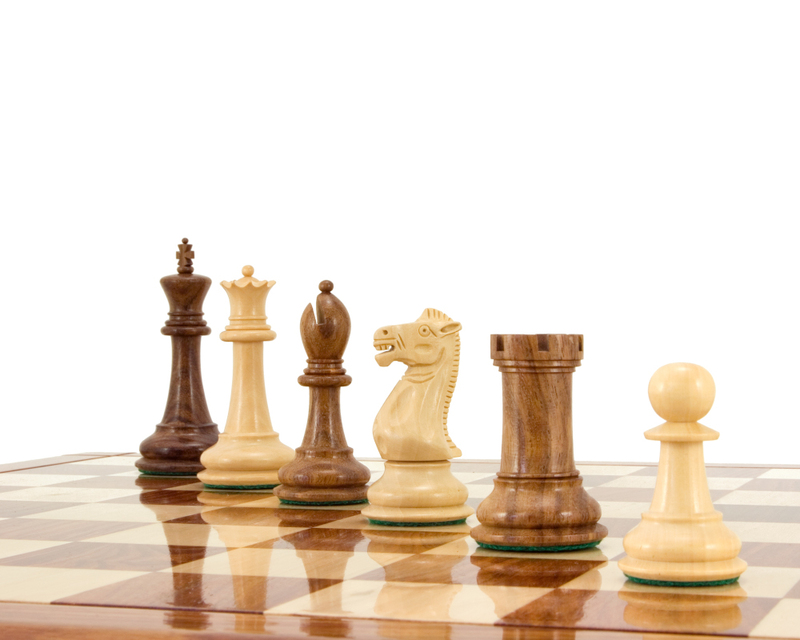 The pieces are fantastic, well finished with a great weight and the visible wood grain further enhances each piece. From start to finish the service has been first rate. 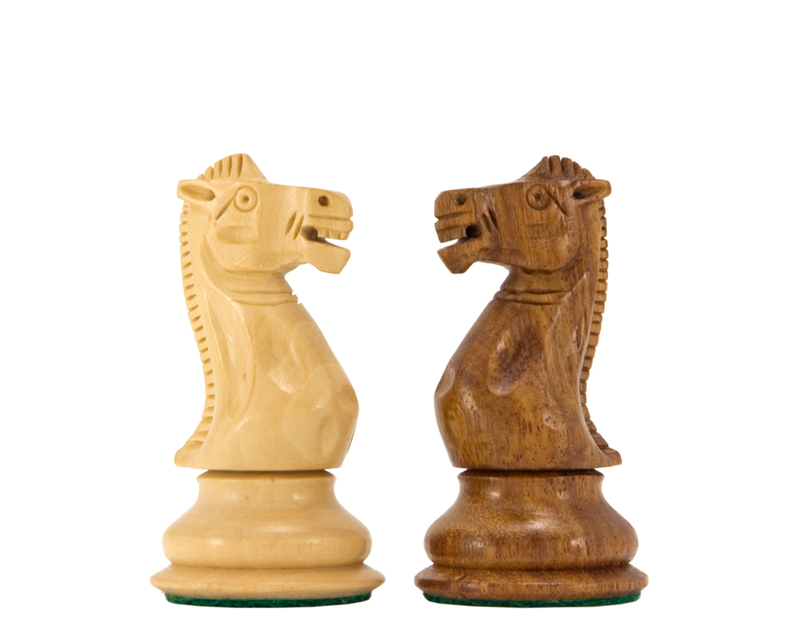 I\'d recommend Regency Chess and I\'d use them again." "These pieces are superb! The pictures do not do them justice. You really need to hold them. They are smooth and well finished with no rough edges. The detailing on the knights in particular is exquisite. They have a very good, solid weight and feel to them, they make a satisfying soft thud when you place them on the board. They arrived swiftly and VERY well packaged. I expect my future grandchildren will still be playing with these pieces long after i'm gone, they are that solid. Very pleased customer."